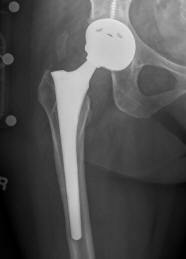 The US Drug Watchdog says, "We are extremely passionate about making certain every recipient of a DePuy Pinnacle metal on metal hip implant gets a blood test, that has been designed to measure chromium, and cobalt levels in their blood steam, because we think this is by far the most effective, and cost efficient way to determine if this type of cobalt, and chromium hip implant has failed, or has begun to fail." The DePuy ASR metal on metal hip implant was recalled in August of 2010, and the DePuy Pinnacle metal on metal hip implant is now subject to national litigation. The US Drug Watchdog believes many individuals, who received a now recalled DePuy ASR hip implant, or a DePuy Pinnacle hip implant do not want to go through a painful hip replacement surgery, also called revision surgery; so as a result they do not complain. The group is strongly encouraging family members or loved ones of anyone receiving a hip implant between 2002 and 2010 to ask if it was a DePuy ASR hip implant, or a DePuy Pinnacle hip implant? For more information about the DePuy Pinnacle hip implant please call the US Drug Watchdog at 866-714-6466.